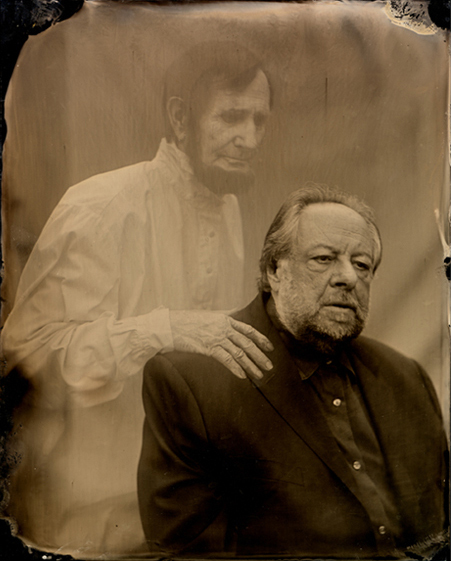 Deceptive Practice: The Mysteries and Mentors of Ricky Jay. Movie, trailer and footage not seen in theaters. Deceptive Practice: The Mysteries and Mentors of Ricky Jay - Full Movie and Trailer. What happens when documentary filmmakers—whose mission is to probe, explore, and reveal—take as their subject one of the world’s greatest living magicians, whose life and art are basically off limits to probing, exploration and revelation? 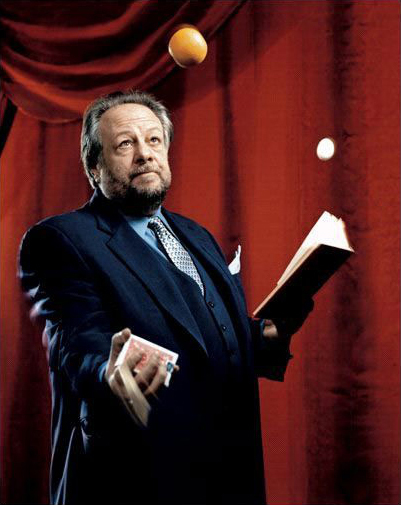 More than a decade in the making, Deceptive Practice: The Mysteries and Mentors of Ricky Jay is the captivating result of this curious conundrum: a mesmerizing journey into the world of modern magic and the small circle of eccentrics who were its perpetual devotees. Molly Bernstein has written and directed documentary profiles of leading figures in the arts, including Bernardo Bertolucci, Estelle Parsons, John Sayles and others for the Sundance Channel and AMC. She has also worked extensively as an editor on documentary films including the 2009 Emmy and Peabody Award winning JEROME ROBBINS: SOMETHING TO DANCE ABOUT, featured on the PBS series American Masters. Other editing credits include WITNESS TO THE TWENTIETH CENTURY, an historical series written by Elaine May, and LIBERTY!, a PBS series on the American Revolution produced by Middlemarch Films. Molly has recently made numerous short films with Particle Productions about contemporary artists for the James Cohan Gallery, and about art collectors in Beijing, Shanghai, Tokyo, Los Angeles and San Francisco for the VIP Art Fair and Christie's. She has an MFA in film from Columbia University. Alan Edelstein received an Academy Award nomination for his documentary short THE WIZARD OF STRINGS, a profile of the 1920's string instrumentalist and vaudeville star Roy Smeck. He has worked as a writer and producer for Nowak Associates, Great Projects Film Company, and Sundance Channel, among others. Recent projects include a promotional film for Education For Employment, a nonprofit organization addressing the dire unemployment problem among youth in the Middle East and North Africa, shot on location in the West Bank, Jordan, and Yemen. A journalist as well as filmmaker, he has written on arts and culture for publications including The New York Times, the Forward, and Transition. Alicia is a series producer/director of ARAB AMERICAN STORIES, a 13-episode public television series for broadcast in 2012. She is also developing the feature film PEACE LIKE A RIVER, based on Leif Enger's best-selling novel, at Warner Bros., and CATCH THE MOON, a comedy set in Gaza to be directed by Sameh Zoabi. She was producer/director (with Amy Rice) of the Emmy Award-winning film BY THE PEOPLE: THE ELECTION OF BARACK OBAMA, a behind-the-scenes look at the journey of Barack Obama and his campaign staff that premiered on HBO in 2009. Also in 2009, Alicia was executive producer of Cherien Dabis' award-winning debut feature AMREEKA. Among the independent documentaries she has produced are: TOOTS, GRATEFUL DAWG, and OFF THE MENU: THE LAST DAYS OF CHASEN'S. Through his company Particle Productions, Philip has produced and directed dozens of short films about art and artists (including Bill Viola, Roxy Paine, and Beatriz Milhazes), performers, teachers, and leaders — for Columbia University, James Cohan Gallery, the VIP Art Fair, Christie's, PBS, and others. He directed a feature film called B MOVIE, starring James Urbaniak and Missy Yager, and produced over 50 hip-hop music videos for renowned artists including Salt-n-Pepa, Kid 'n Play, MC Lyte, Chubb Rock and Monie Love. He has an MFA in film from Columbia University and was a Fulbright Scholar in South America. 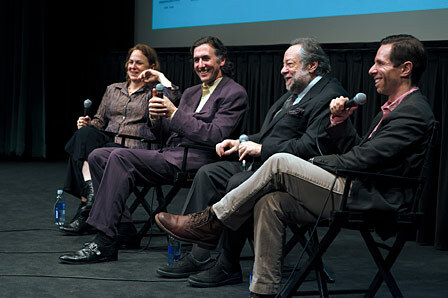 MARK SINGER (Executive Producer, Author of The New Yorker profile about Ricky Jay that was the inspiration for the film). Mark Singer has been a staff writer for The New Yorker since 1974. "Secrets of the Magus," his Profile of Ricky Jay, originally appeared in the issue of April 5, 1993. It was reprinted in "Life Stories," the magazine's seventy-fifth anniversary anthology of Profiles, and Singer also included it in his 2005 collection "Character Studies: Encounters With the Curiously Obsessed." Among his other books are "Funny Money," "Mr. Personality," "Citizen K," and "Somewhere in America." 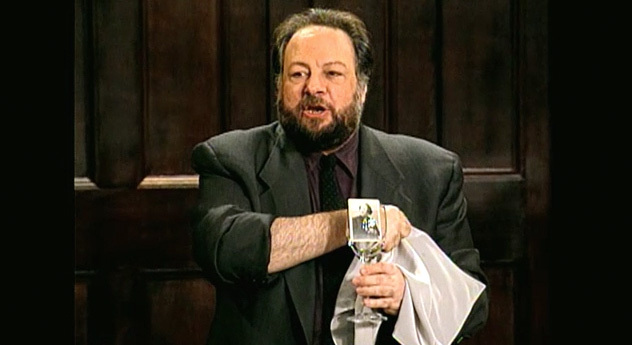 While Ricky Jay has long been considered one of the world's great sleight of hand artists, his career is further distinguished by the remarkable variety of his accomplishments as an author, actor, historian, and consultant. His one man shows Ricky Jay & His 52 Assistants, Ricky Jay: On the Stem, and Ricky Jay: A Rogue's Gallery, all directed by David Mamet, were award-winning critical and commercial theatrical events. As an actor Mr. Jay has been seen in David Mamet's films: House of Games, Homicide, Things Change, Spanish Prisoner, State and Main, and Heist. He has appeared in many other movies including Boogie Nights, Magnolia, Last Days, Tomorrow Never Dies, The Prestige, Red Belt, and The Great Buck Howard. On television he has hosted numerous programs and appeared regularly on the series Deadwood, The Unit, and Flash Forward. His consulting company, Deceptive Practices, has supplied "Arcane Knowledge on a Need to Know Basis" for more than a score of films including Forrest Gump, The Illusionist, and Ocean's Thirteen. He is the author of Learned Pigs & Fireproof Women, and Jay's Journal of Anomalies, both New York Times "Notable Books." Among his other works are Dice: Deception, Fate and Rotten Luck; Extraordinary Exhibitions; and most recently Celebrations of Curious Characters. He has defined the terms of his profession for the Encyclopedia Britannica and the Cambridge Guide to American Theater. SEE IT ON PBS BEGINNING JANUARY 2015! Now on DVD at Kino Lorber Home Video, Amazon.com, and other fine shops. Now available on iTunes, Amazon Instant Video, Vudu HD Movies, and other fine services. Our Theatrical Run is now complete, but visit us further on Facebook and at Ricky Jay's website for the latest news. "This is a wonderful movie about a great artist, one of the all time great artists in the field of magic." "An elegant, enthralling peek behind the curtain,"
"Full of happy surprises. Card tricks that leave his audience speechless." Mr. Jay proves a hugely entertaining guide..."
"(A) great enchanter! A reminder that deception, in the best of cases, is a pathway to transcendence." "A riveting look at Mr. Jay’s arduous, arcane pursuits through the prism of those who taught and inspired him to be one of the world’s great magicians. Some of his illusions are so stunning that they leave spectators teary-eyed – out of amazement, or perhaps fear." "Grade: A- Intriguing. A true master magician. Shows practical magic can be just as thrilling as anything you see on Game of Thrones." "This introduction to Jay’s world and his most secretive fraternity…dazzle(s) you with its clips of Jay pulling astonishments minor and major with the decks of cards he is forever just unwrapping from their plastic… We see mad and gorgeous excerpts from his library of magic guides. Here’s a movie with magic." Just watching this magician’s hands at work with a deck of cards is positively mesmerizing." Join our email list for announcements about Deceptive Practice.